The United States government has reached a final deal with Boeing to build two brand new Air Force One airplanes. In 2016 shortly after winning the White House, President Trump publicly berated the company for what he believed was overcharging taxpayers. He also threatened to cancel the order. Now, an official agreement is on paper. "Yesterday, the United States Air Force awarded a firm fixed price contract to The Boeing Company to design, modify, test, certify, and deliver two Presidential, mission-ready aircraft by 2024. 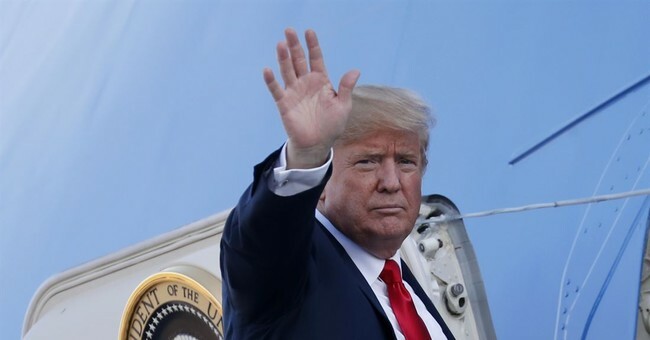 Formal replacement efforts began in 2011 and the new aircraft will replace the current Air Force One planes that are now 31 years old," White House Press Secretary Sarah Sanders said in a statement Wednesday. "The contract sets the total price for the two completed “Air Force One” replacement aircraft at $3.9 billion, saving the taxpayers over $1.4 billion from the initially proposed $5.3 billion cost-plus contract." "President Donald J. Trump has emphasized the need to minimize the cost of replacing the two existing Air Force One aircraft," Sanders continued. "Yesterday’s action meets that objective and reflects the President’s commitment to our military and to protecting taxpayer dollars." President Trump said over the weekend the new planes will be painted red, white and blue. The current design, marine blue, gold and white, was implemented during the Kennedy administration.